Statewide Stroke Clinical Network coordinator Greg Cadigan was one of seven finalists for the prestigious Stroke Foundation and Stroke Society of Australasia 2018 Stroke Care Champion Award announced at the Stroke 2018 Conference in Sydney overnight. 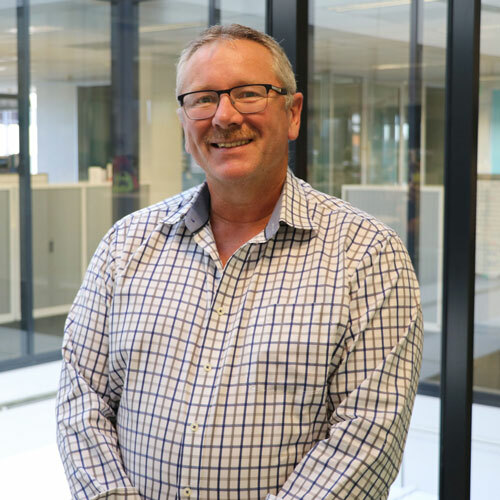 Greg was selected from a talented field of almost 40 nominees including neurologists, stroke nurses, occupational therapists, speech therapists and researchers for his tireless commitment to improving stroke services across Queensland. “This nomination represents the efforts of a committed group of like-minded clinicians wanting to make a difference. I hope my nomination is seen as recognition of all our hard work across the state,” he said. Stroke Foundation Queensland State Manager Andrea Sanders congratulated Greg saying he demonstrated the depth of talent, expertise and commitment to stroke prevention, treatment and care across the country. “It is heartening to see so many exceptional people stepping up to improve the lives of those who experience stroke, their families and carers,’’ Ms Sanders said. “We are going to need each and every one of them to tackle this disease as it impacts more and more Queenslanders. Cathy Urquhart, Manager of the Clinical Networks team praised the achievements of the Statewide Stroke Clinical Network during Greg’s decade coordinating the network. “It is wonderful for Greg to receive this well-deserved nomination. Queensland is a leader in stroke care due to Greg’s dedication in supporting the network and the network’s continued resolve to improve stroke care in Queensland,” she said. For more information about the network’s priorities, visit the Statewide Stroke Clinical Network page.